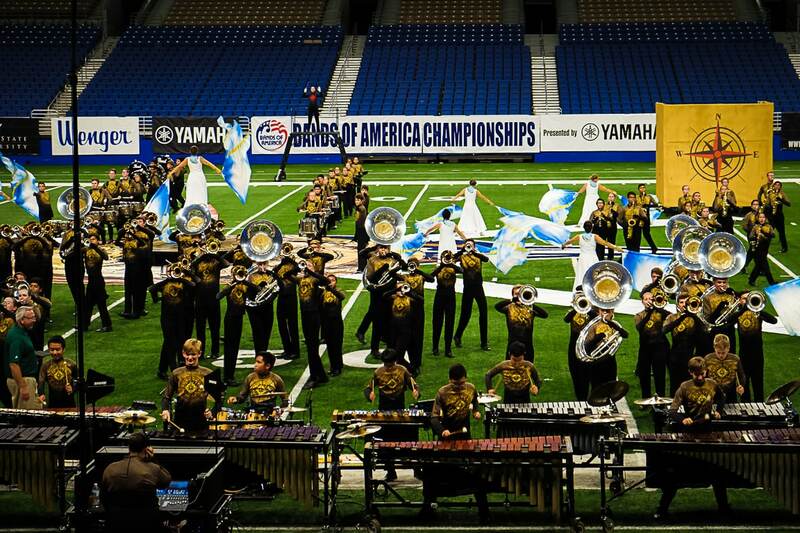 Today Koa performed with his high school band in the Bands of America super-regional competition at the Alamodome in San Antonio. 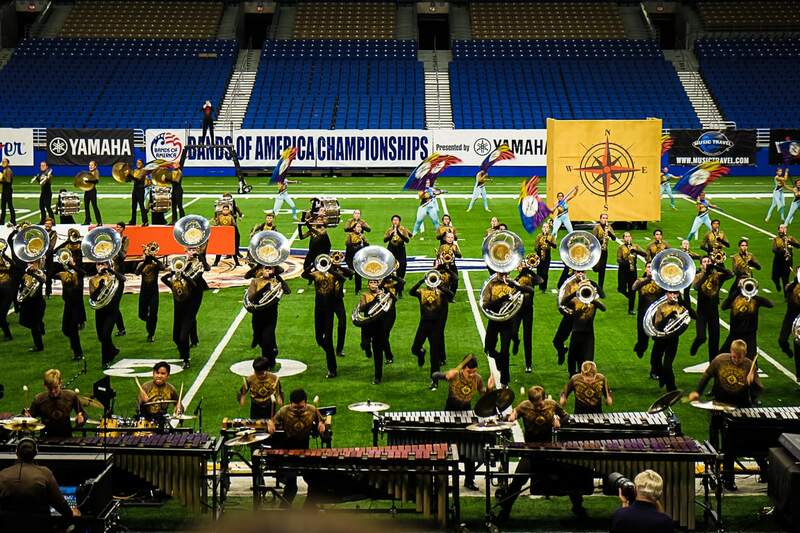 There were maybe 30 marching bands competing over two days, and Koa’s band did awesome – a 4th place finish! It was really an amazing performance, and the kids were so pumped and excited! Mariko and I drove down for the finals portion of the competition which started at 6 pm, and ended at 12:30 am. (I’m actually writing this on Sunday) And Koa’s band’s preliminary performance was actually at 7:15 am earlier in the day. I can’t believe how much energy they still had for their 10 pm finals performance, but they brought their A-game for sure. I’m so happy for them! Before we went to the finals performance, Mariko and I got some dinner at Rosario’s Mexican restaurant, which was pretty good. But what was really cool was the awesome makeup on the girl at the next table over. We just had to ask for a photo. 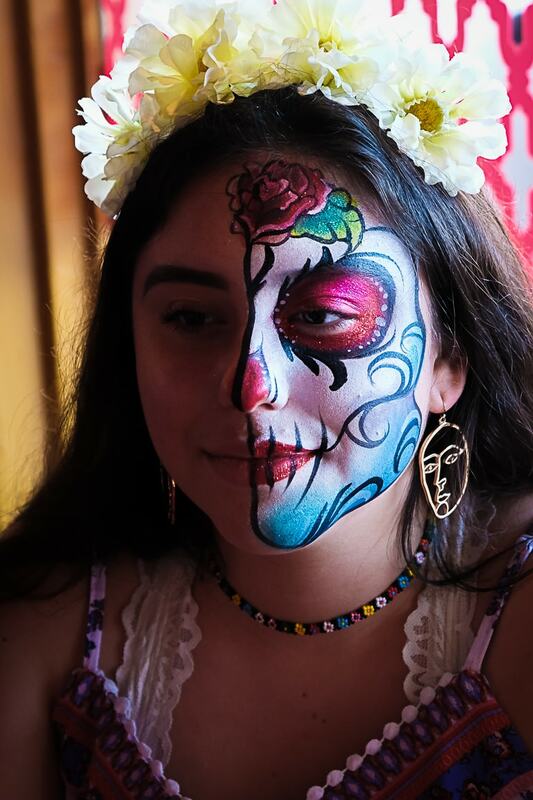 Glad you got a pic; it’s beautiful face painting.